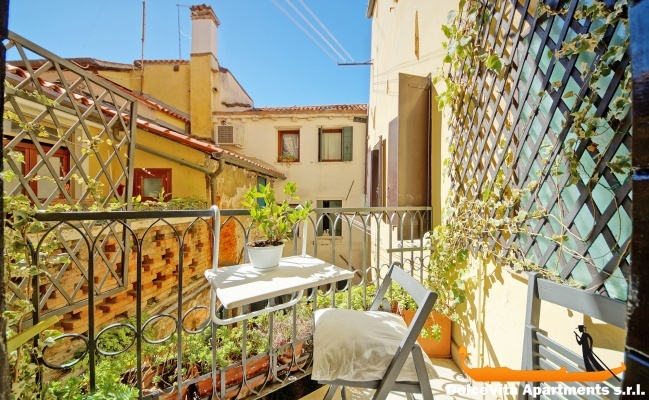 Apartment N. 230: It can accommodate up to 4 people, it is rented from 169 € per Night (not per person). 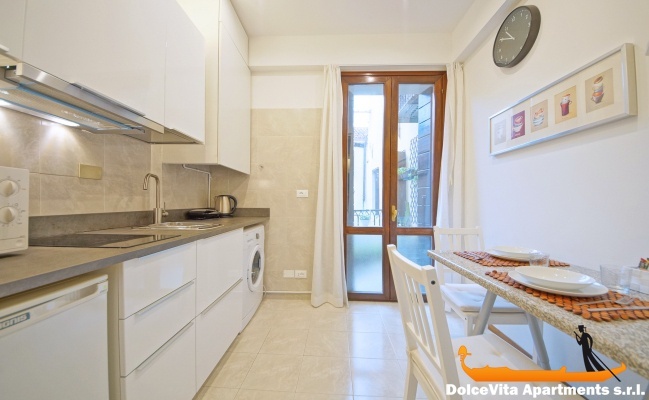 Lovely Holiday Apartment in Venice for 4 People: Bright apartment in Venice center, in Castello district, consisting of living room, a double bedroom, bathroom with shower, kitchen and terrace. 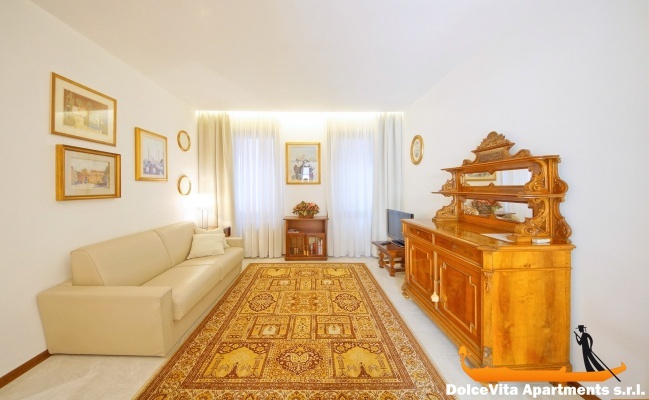 Furnished with care it is on the second floor of a building just 300 meters from Rialto Bridge. For a comfortable sofa bed in the living room, this holiday home can accommodate up to 4 people. 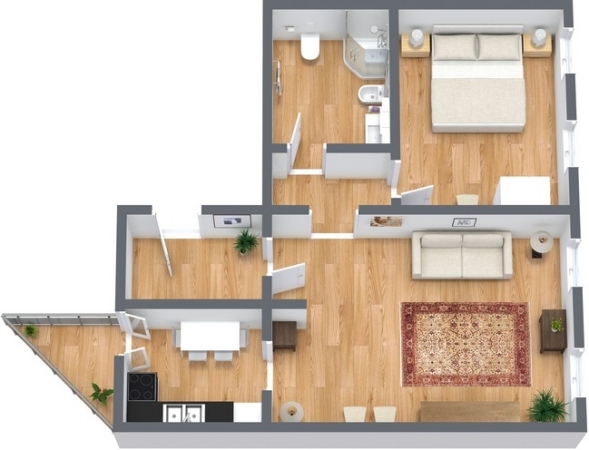 This apartment also offers a wide range of amenities, among which TV, free Wi-Fi connection, luggage storage, washing machine, heating and air conditioner. The kitchen is fully equipped with fridge, blender, food processor, toaster and freezer. 5 minutes far from St. Mark’s Square, this apartments is perfect for travelling to the other islands of the lagoon: in less than 5 minutes you can reach the terminal “Rialto”. Rating of apartment n.230 is 5. Maximum comfort, excellent cleanliness and courtesy of the owner. It's really closer to center. Silent. Clean. Has all that needed. It will be easy to speak with meeting side in English. Renters are charming, very nice, very welcoming. The apartment is conveniently well located in a busy place, but very quiet room side. Very professional and fast service. Apartment correct. Well located. Clean. Advisable to repeat. Service was perfect. We'll email you. At the exact time there was a very kind man, that he took us to the apartment and gave us the instructions. We thoroughly enjoyed our stay. We were greeted and met on time by our charming host even though it was past 11pm. We would have really struggled to find it without his assistance. The flat is in a great location and was perfect for a short stay. I would give 5 as a rating. The apartment was very clean, it was well appointed and we enjoyed our stay. The apartment was well located and the reception and the assistance by the owner was very efficient and curious. The apartment itself was clean and well appointed and your description on the website was accurate. Our only word of advise is the shower which is very,very small, may be by changing the location of the shower head it may help. We were impressed by your service which was quick and painless. Putting us in touch with the owners directly who also responded very quickly to our requests. If you organise apartments in other cities we would be interested in using you in the future. The apartment is very central, perhaps 3 or 4 minutes from the Rialto Bridge, yet inis a fairly quiet neighborhood. The flat has been decorated and furnished beautifully and includes a washer, which is always appreciated. The pretty terrace adds light and color, bringing an atmosphere of flowers and sunlight into the flat. I found all the equipment needed to cook in the kitchen. The wi-fi works. Our hosts were warm and welcoming, and we can’t wait to visit again. Your service is excellent. The web site is easy to navigate, and descriptions are accurate. This is the third time we’ve booked using your site and we have had only positive experiences. Very well located and comfortable for a family. 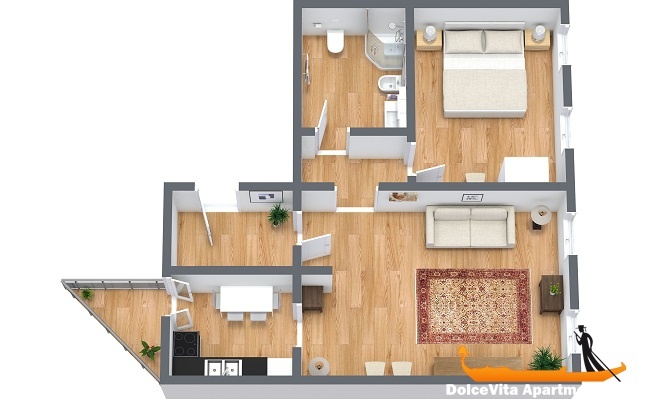 perfect apartment for 2-4 people, simple, tasteful and welcoming, with everything you need (including a vacuum cleaner). Very clean, space of the right size, attractive terrace on the inner courtyard. Lively area, bacaro in the the corner of Calle (Al Portego) very pleasant, much frequented-even by us-especially on the weekend (for sensitive ears a bit of passage of people and sounds of voices, however we slept magnificently ). The apartment 230 where we were from 16 to 22 September is well positioned to visit Venice because in the heart of the city, close to Rialto and San Marco and the access to the lagoon islands. There is also a shop COOP near Piazza San Marina, well stocked. It is very convenient, especially for two people and the welcome is very pleasant. Mr. Zenarro takes care of its tenants and is very thoughtful. Rating 5/5. We are happy with our stay in Venice and we thank you for the organization.